I am not a big crafter. I know there are other people who aren't big crafters. So. This is a post for you. It's even a post for crafters who aren't in the mood to make Valentines. To make the card for a Valentine's Day party at school, go to Tiny Prints. Oh, and no, this isn't a sponsored post, nor am I getting paid for any affiliate links. Click here for the Minecraft options. You'll see the one Natalie has. I picked the 25 cards option since she has 24 people in her class. They are under $20. Then I personalized them with her name, put in my credit card info, and I was done. Then I decided, hey, let's get the kids chocolate too because I love chocolate. We kept with the Minecraft theme and found a woman on Etsy who made chocolate Minecraft wrappers. She's called TheWrapperPress and the Minecraft wrappers were found here. I admit, when they arrived I thought I wouldn't be able to wrap the chocolate properly. I thought I'd mess it all up. I won't lie, I didn't wrap them as nicely as I should have. I sort of slapped everything together. But they still look fine! I figure her students will be hopped up on sugar because of the party, so she could use her own chocolate to cope. Do you go for easy Valentines? you had me at easy. i do not get minecraft! how is it fun? or do i need to be 8? I love those wrappers! Etsy is the best. I could spend all our money shopping on Etsy. The teachers gift is awesome. Yes, Etsy gets me in trouble. It's like Target but in the internet world. HAHA! I love that. Yes, buy them. I'm all for easy. And chocolate. Look at you, overachiever!! :) Are we seriously getting ready for valentines already.. whaaa!! I still have Christmas candy. Valentine's Day means... I'll have a 14 YEAR OLD soon!!! YIKES!! 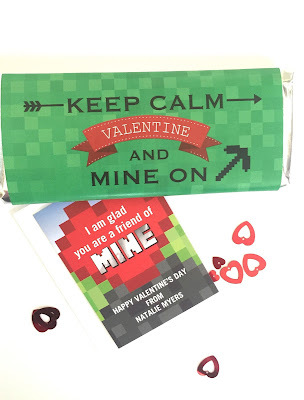 How to make Minecraft Valentines... buy them.. <-- that is the best! Zoe will be lucky if we remember to buy them two days before her school party. Last year Sam forgot until the night before. These are so cute! I don't usually make Valentines either. HAHA awesome! I'd whip out my credit card too!! They did turn out great though!! Oh you are totally speaking my family's language here! These are adorable! Totally just pinned! Luckily when my boys were little, everybody bought their valentines at the store. I am not creative, even a little bit. These are really cute! Okay, for not being a crafty person, these are pretty darn fantastic! I'm so glad you shared at the #SHINEbloghop. Shoot, I'd totally do that for all of my friends... forget that I don't have a child to create them for. ;) These are too cute and so up my own geeky alley. Thanks for sharing! You should :) I'd be happy to get chocolate! Those wrappers are awesome. My son loves mine craft. How cute. You are one nice mom. I love that they are made and not generic. A woman after my own heart...LOL. 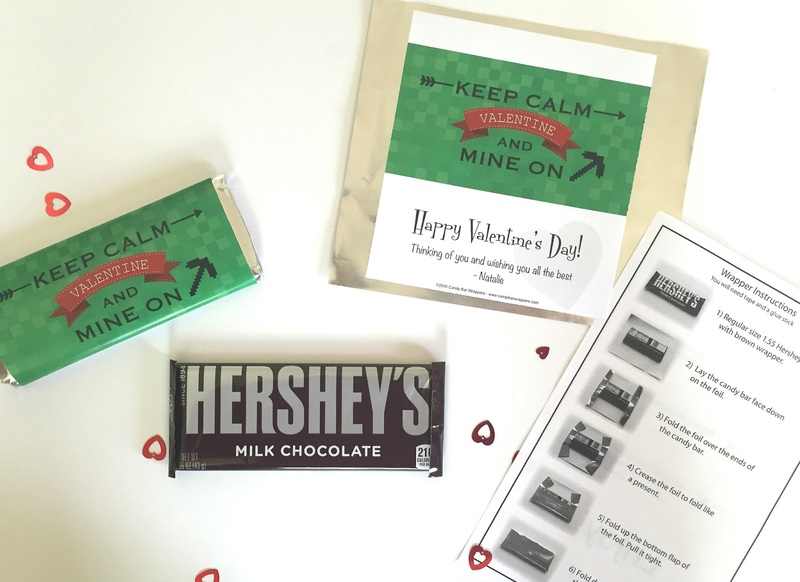 I am all about easy peasy with V-day gifts for school. Thanks. This is so cute and to make it as one of the best games out there is even better... even with chocolate! I love that you really don't have to do anything for this project! Reason why...I'm just not much of a DIY obsessor. This is super cute and I love the idea. I am not a crafter myself but I am gonna try this. You made this project looks so easy, hope I can do this. Thank you for sharing. These wrappers are definitely easy to do. The kids just bring in simple Valentines and have a party so we don't go all out for the Valentines. The Minecraft is an awesome wrapper! So creative.....I love it. It's a lovely idea. I really appreciate when someone puts some effort into the gift, it's so much nicer to get something like this. This is such a sweet idea! I've never been into this game much but I know there's a lot of young people who do. I'm all up for detailed little ideas! This is going to make me a pretty cool freaking teacher. I have a kiddo who is obsessed with Minecraft. I'm so excited to give him a Minecraft Valentine! Wow. Now if I could only wrap my mind around the whole minecrafting concept. LOVE it! Called my daughter in to check them out and she's thinking she wants to do something like that this year even though they don't usually do a big exchange in her grade anymore. I don't have a little one at home any longer, but I have seen the craze with minecraft. I bet there are a lot of kids who would love this! Haha! Love it. These are adorable. This is our first year doing valentines (it's my oldest's first year in school), so I'm not sure what we're doing. He said he was going to make valentines, but I have a feeling that won't happen. Such a lovely idea. "I am glad you are a friend of MINEcraft". Kids will definitely love this. These are such a cute idea. They are also so easy for anyone to make love it. It is amazing to me how long this game has been popular! My son played it and he is in his 20's now! This is such a cool idea! My 2nd grader son would love this. 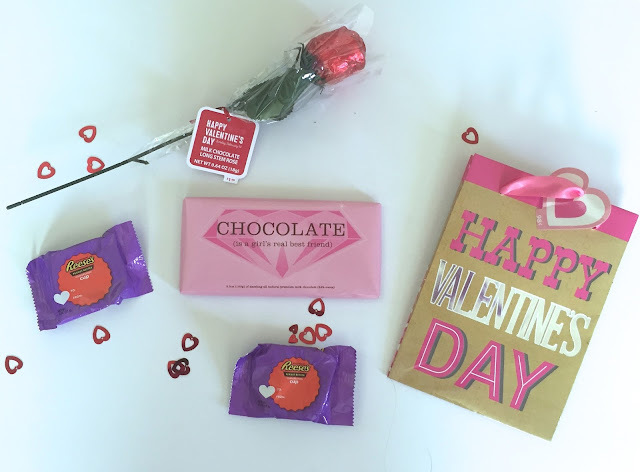 This is so cute Valentine's DIY! I'm sure kids are going to love this! I'm sure your kids loved this. Minecraft is super popular there days! This is such a cute Valentine's Day craft. Although I do not have little children anymore, I will share this with a friend who owns a pre-school. She and her little students would have lots of fun with this. This is such a lovely idea for the kids! I think it's super easy as well. It would be nice to make this even at parties as a giveaway to the guests. What a great idea and really sweet that they get presents for all the kids in the class! Thoughtful of you to think of the teacher too! Very popular game, my grandson plays it. I'm sure he'd appreciate this. pinned this post! it's actually my kind of thing! minecraft fan! :) i like the idea! This sure does look easy. I'm all for the printouts, however, I would have still had her sign her name. Our daughter is almost five now, but after Christmas, my wife sat down with her and had her write out thank you letters to practice her writing. I practice writing with her almost every day too. I guess I also didn't catch how old your daughter was either, but learning to serve others is still a great way to teach compassion and giving! Love the minecraft theme as well though! Omg this is so precious! What a wonderful, unique touch to Valentine cards. I would love to receive one of these. Our kids LOVE Minecraft so these would be perfect. I'm quite the crafter but it still doesn't stop me from finding things that can save me time. I love that you have something for the Teacher too. My son is a certified minecrafter. I'm sure he'll only be so thrilled to help out if I ask him to help me do this. This looks so fun and easy! Love the idea!! My 5-year-old nephew once showed the game and told me "This is how you play Minecraft PROPERLY." He would be asking why this should be used as Chocolate wrappers, lol. This looks really nice and pretty at the same time. I would love to do something like this with my boy. Very cool idea. My 10 year old LOVES Minecraft, so I am sure these are the ones he will want to hand out to his class this year. I laughed out loud when I read "buy them." I totally agree. I'm not that crafty either and most of the time it's cheaper to buy the thing already made than buy the mile long list of supplies you need to make it. Love the cards! Those Valentines are cute! We've never played Minecraft here but I do know that it's very popular so these will surely be well received. We do easy, we buy premade cards. Easy is the big key word here in a moms life. No little ones here to have to make valentines anymore. Sure many moms will be doing this with their kids. Those are super cool. My son used to love LOVE LOVE minecraft and that is all I ever heard him talk about. Then it went to Pokemon and then I bought earplugs. But these are wonderful! Go Mom! I've always been a huge fan of handmade Valentine's like this! I love the idea of wrapping it around chocolate, how clever. I absolutely love the personalized wrappers. I think it's a very neat idea! I should try them soon. My nephew is obsessed with minecraft, so these would be super cute for his class! I planned on getting some cheap candy from the local store, but these are much cuter! My daughter isn't a fan of Minecraft, but her friends are. This is such a cute idea! That's a great idea. My daughter wants to make little gift bags, but doing the candy bars would be much easier (and probably cheaper). I've got to check out Esty. I am not paying attention that much about the dates. Till recently, I read a lot of fun ideas about Valentines Day. Time move so fast, but I like the idea of flowers and chocolates on Vday. I love it. Those are my kind of Valentine's. Personalize, enter credit card info and done! 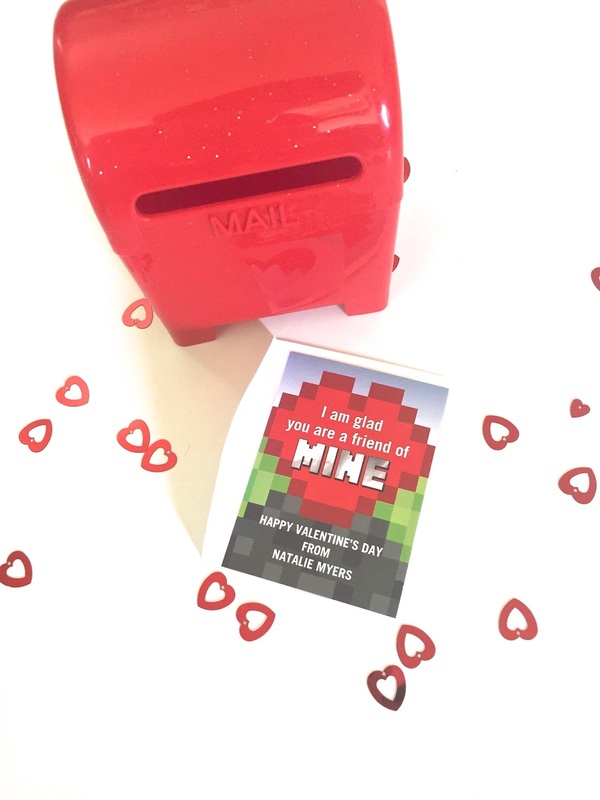 Minecraft Valentines are perfect for so many ages! I love your creativity. My kids always need easy, cute Valentine's Day ideas. I love these minecraft ones so much. They look really fun. I totally need to recreate these! I remember having to do all those Valentine's when my kids were in school. This is such a cute idea! Aww this is such a cute idea. My little cousin is obsessed with Minecraft. That's so cute! My boys love Mine Craft, they play any chance they get. I think these wrappers are so cute. It's amazing what you can find on Etsy. I think that's a very cool concept! Lovely idea! This is such an awesome idea. I love this cute valentines day gift idea. Thanks for sharing. Minecraft is huge with my kids! I just got the classroom lists for two of my kids from school and realized I need to start getting organized to have all of their Valentines ready to go. I love this idea! Love is in the air as we fast approaching to Feb. 14. I like all the ideas I am learning at from each post. I love how cute these are! The slogan made me laugh out loud too. "Keep Calm and Mine On" That should be the game's catchphrase. This is awesome! I love it. Thanks for showing me this. Arts and Crafts has always been an interest of mine. That's a really neat set of ideas. My girls would so love this as they are huge mine craft fans. Oh the kids are going to love this one! They lose their minds for Minecraft. Yes thank you! My son has actually wanted these. We make easy Valentine's gifts and cards too. When my kids were little, they loved making paper hearts and decorating/personalizing them for each and every one in their class. The minecraft idea looks really cool! 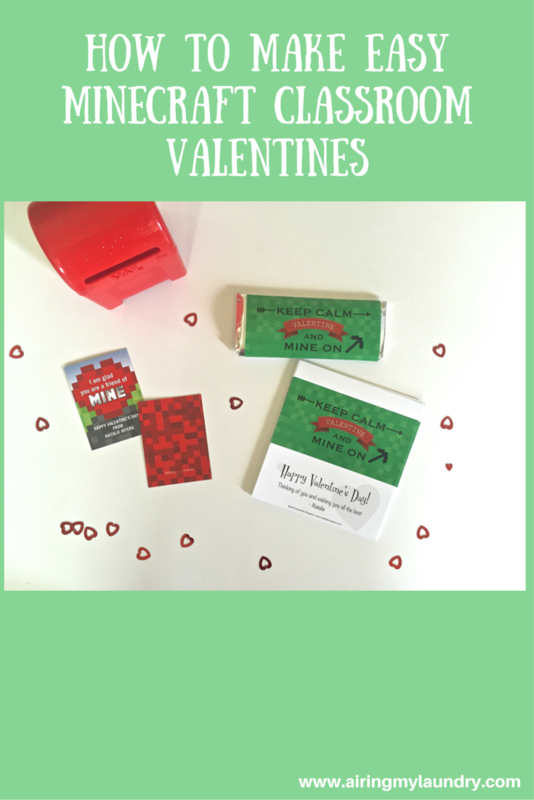 Such a cute idea for Valentine's gifts for children. I am sure your daughter will have a great time handing these gifts to her classmates and teacher too. Wow you are so thoughtful to prepare these goodies for her classmates and teacher. Will you be making these again this coming Valentine's Day? Such beautiful post. I particularly love the words. It fosters relationships and team building! Thanks for sharing! They are so cute! I find this as a great present for my son's teachers this Valentines Day. Thanks for sharing! They are so cute!! I was just telling my husband we should have Valentine's day cards for our toddler to give to his grandparents.